This is absolutely gorgeous. 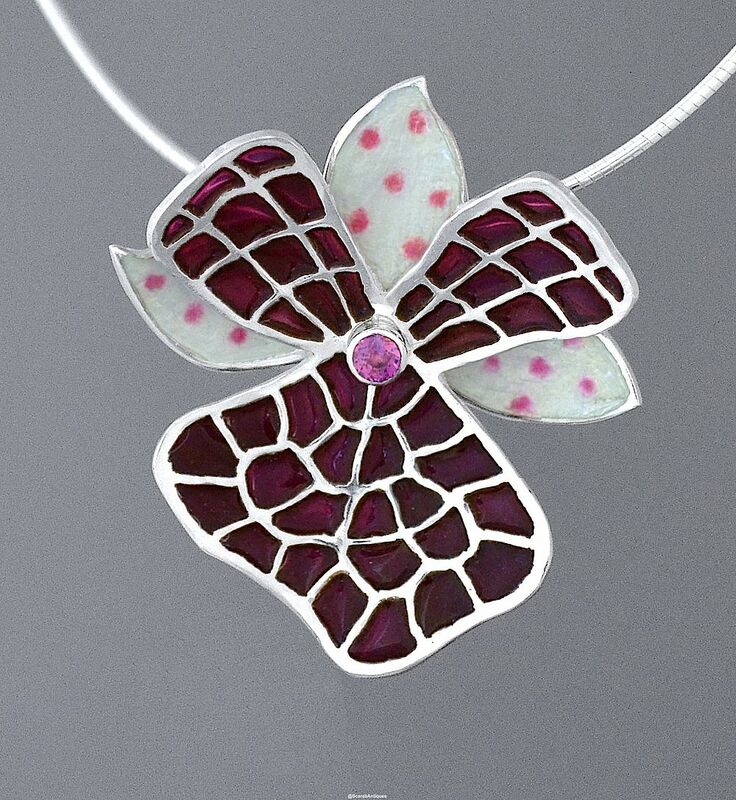 Designed and made by Jean Wilkinson the Orchid pedant is an orchid flowerhead which Jean has done in white and pink champlevé enamel on 3 petals and pink/red plique a jour enamel on the other 3 petals with a round pink tourmaline rubover set in the centre. 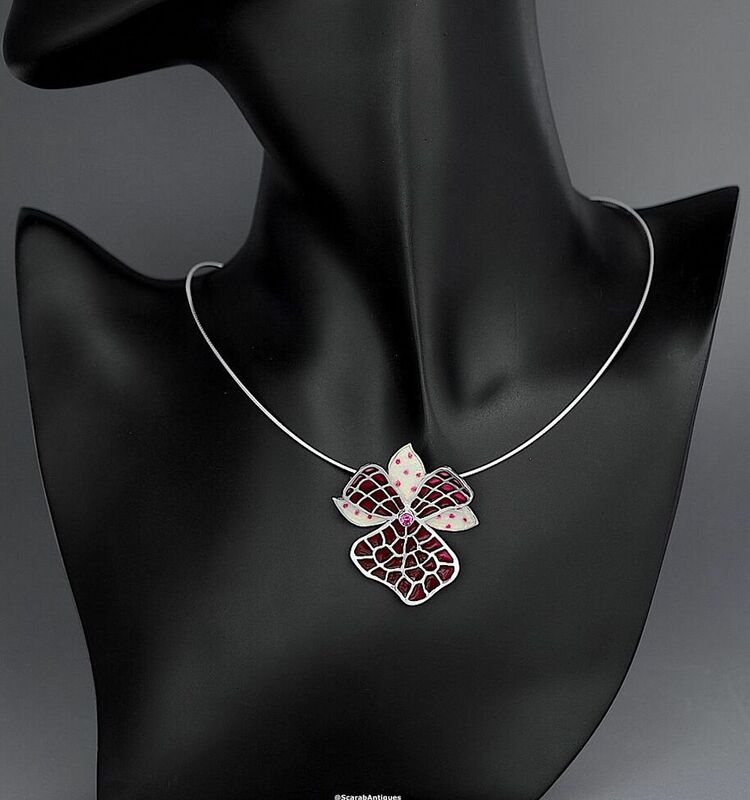 The pendant hangs on a silver cable chain.